At the New York Photo Festival yesterday I was looking forward to a panel discussion on the future of story telling. 4 photographers nominally had 5 minutes to show their work and talk about the future. Elizabeth Biondi moderated. Only, it started late, was disorganized; Biondi hardly got to say a word; we watched videos by Lauren Greenfield and Gillian Laub which were wonderful but made me wonder whether everyone thought video had just been invented; Jeff Jacobson subjected us to stills of a road trip that we thought would relate to Obama's election but didn't seem to, with someone reading a poem over the slideshow; and Rob Hornstra made it clear he didn't like either video or audio. Conclusion? Stills, and maybe video, and maybe audio, or maybe text, are the future of story telling. What I was excited to learn about was Rob Hornstra's and Arnold van Bruggen's The Sochi Project. These Dutch photographers are looking for private donors to help them travel to Sochi twice a year through 2014 to document the run-up to the Olympic Games. "In 2014, the Olympic Games will take place in Sochi, Russia. Never before have the Olympic Games been held in a region that contrasts more strongly with the glamour of the Games than Sochi. Just 20 kilometres away is the conflict zone Abkhazia. To the east the Caucasus Mountains stretch into obscure and impoverished breakaway republics such as Cherkessia, North Ossetia and Chechnya. On the coast old Soviet sanatoria stand shoulder to shoulder with the most expensive hotels and clubs of the Russian Riviera. Between now and 2014 the area around Sochi will change beyond recognition. 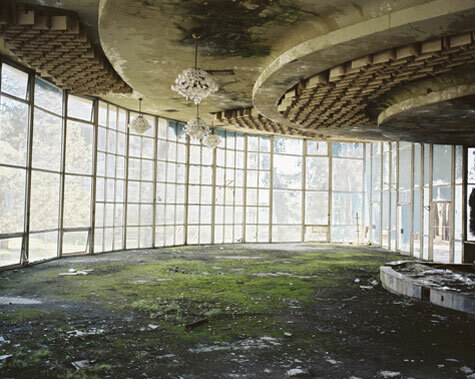 The Sochi Project will be a dynamic mix of documentary photography, film and reportage about a world in flux; a world full of different realities within a small but extraordinary geographic area."